Bowed heads and slouched shoulders are symptoms of a person with a zero confidence level. Taking a glance at the dictionary, it is seen that confidence entails a self-assurance arising from belief in one’s ability to achieve a particular thing. Two components of confidence include self-assurance and achievements. Many times, people who lack grit are those who constantly have self doubt, they are never certain about their actions, and they believe in their subconscious that they can never achieve anything worthwhile. A constant assurance of your abilities and capabilities increases the confidence of a person. Every individual is born with unique abilities; in every human are embedded tonnes of potentials, it is left for us to discover and tap into it. You might have been submerged in lack of confidence, and wondering about the possibility of boosting your confidence, let alone live your dreams. “Low self esteem is not a life sentence, self-confidence can be learned, practiced and mastered just like any other skill. Once you master it, everything in your life will change for the better.” – Barrie Davenport. If you really desire to increase your confidence, one question I have for you is “are you willing to believe in yourself?” Your response to the above posed questions will determine your attitude towards boosting your self-confidence. 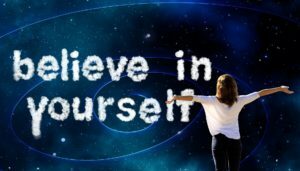 But then, if you don’t believe in yourself, who will? If you are willing to go on the journey of boosting your confidence level with me, here are 5 tips to do so. These are not conclusive; they are just starters. LOVE AND APPRECIATE YOURSELF: If you don’t love yourself, who will? The moment people begin to see the way you love and appreciate your unique abilities, they have no choice but to love just as you are. You can’t continue hating on yourself, doubting and limiting your abilities, and expect something from Jupiter to increase the level of your confidence. It ain’t possible. If you value yourself, people see it and appreciate and even put more value to you; and this is a confidence booster. Try it out, you’ll be glad you did. SHUN PESSIMISM, ADOPT OPTIMISM: Pessimism is a lack of hope and confidence in the future. Pessimists are people who often see things in the negative light, their probability is always a worse case scenario, and they always have a low spirit. Many who are afflicted with the disease of poor self-esteem are usually people whose minds are configured to have negative thoughts running 24/7. Adding the fragrance of optimism to your everyday life is a booster of grit. INVEST IN YOURSELF: Nothing is as good as investing in your very self. Daily adding value to yourself makes you be a person of worth, which in turn increases your self-esteem. Do something each day that makes you better than you were yesterday. Have a balanced self-esteem; no pride, no timidity. DON’T BE AFRAID TO FAIL: Having a constant fear of failure drains you, and makes you doubt in your abilities. The fact that you have failed once, twice, thrice, or more does not make you a certified failure. Having a positive attitude towards failure helps you to overcome any form of the feeling of low self worth that accompanies failure. BELIEVE IN GOD: You have a greater level of confidence when you know that God’s got your back in what you are doing. Your confidence should not be in your abilities alone; but what God is able to make out of your abilities. When you put your trust in God, there is this ever abiding assurance that you are not alone. BONUS: Always be on track. Never be caught off guard and when you go off-course, evaluate where you are, how far you’ve gone off-course and refire. Equip yourself with basic knowledge and be always prepared to give out of the abundance of knowledge you have where necessary. Are you willing to boost your self-confidence today? Then take active steps towards the above mentioned steps; don’t be passive. Wishing you a life full of cheerfulness and confidence. Worth the read! Thank you.